Superman #27, Declaration, wasn’t a bad issue. Sure it was a history lesson with information you can just get off of Wikipedia, but it was an enjoyable read. 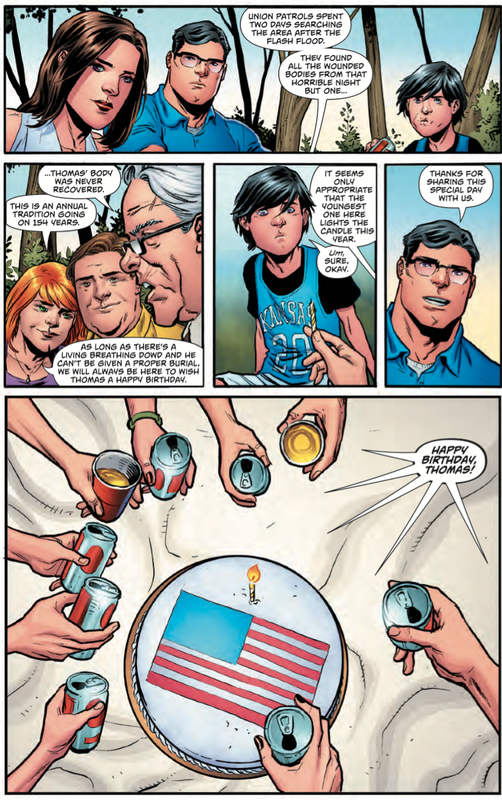 The Kents are on an American vacation giving Jon some really good lessons a 10 year old needs to hear. 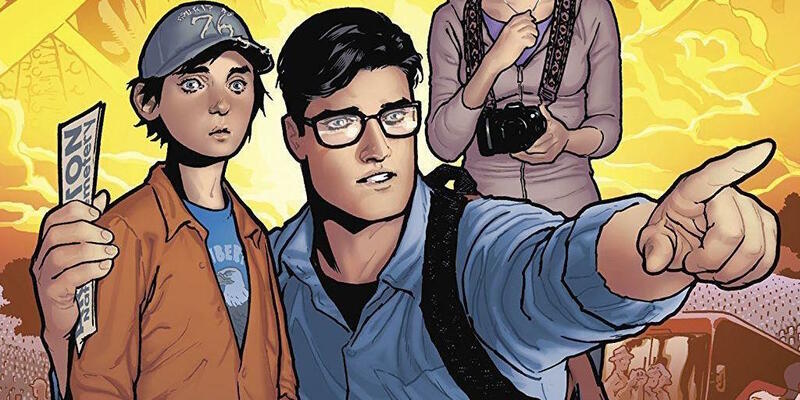 Superman #28 is here and it continues their all-American trip. Let’s take a look to see if it continues in monotony…. ...And it actually does. Just a couple pages in and we’re getting a lengthy lecture on World War II. A very important battle but there is no way Clark and Lois are talking to Jon this much about it. I’d be really bored as a kid if I were himt. The heavy handed American history lessons continues throughout the entire issue this way. The issue ends when their vacation in Washington D.C. over and they’re on their way to Metropolis. 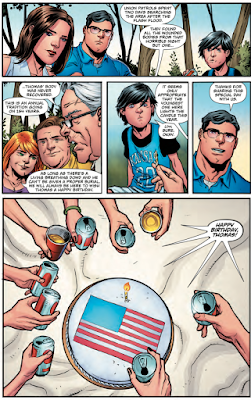 Issue #27 and #28 should have only been a Fourth of July special, it didn’t need to be a two-part story. I know that Tomasi and Gleason are capable of writing great filler stories like Dinosaur Island and the Frankenstein story. It seemed they wanted to do this much sooner but the way things played out for issues, it didn’t work out that way. Declaration came out late July, the complete opposite time frame for Fourth of July. I would have rather some kind of one shot villain fight on their road trip instead of this. Don’t get me wrong, the material of American history is interesting, especially if the person reading it doesn’t know some of these facts or a child is reading this and enjoying learning history from Superman. My thing is is that I don’t want real world facts in my fantasy comic book. I want to escape the real world instead of learning history through dialogue heavy word balloons. The art is also not so great. Godlewski has been on the book for a couple issues now and I think it’s okay for the most part but my biggest issue with it is his Jon. He looks like Godlewski just put Clark's head on a small body. He doesn’t look like he’s 10, he looks 30. It really threw me off. Other than that, his art is just fine but I hope Gleason comes back on real soon. 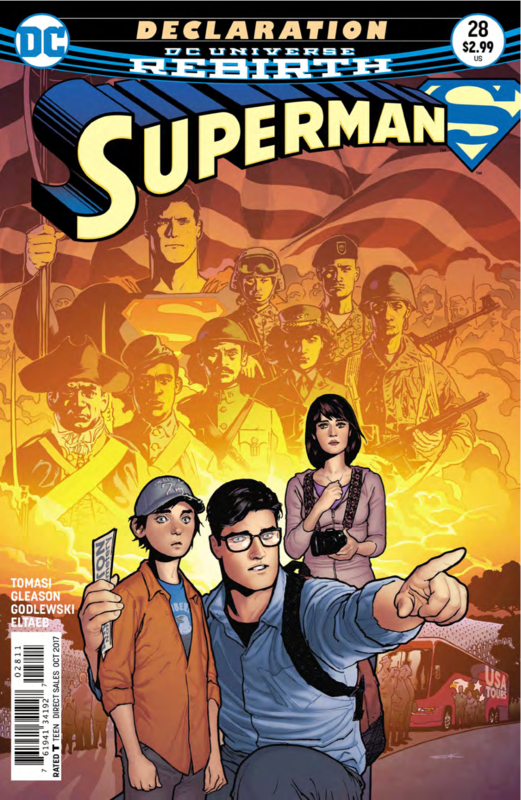 Overall, Superman #28 wasn’t a good issue and is probably this book's first speed bump. The history lessons is very heavy handed and the art isn’t too good. It’s just a bland filler issue celebrating a holiday that occurred a month ago.